Malaysian violinist Khai Ern Ooi is a member of the Royal Swedish Orchestra, where she has the honor of being the first and only Southeast Asian member of the orchestra in its entire 492-year history. She also serves as the concertmaster of the Malaysian Bach Festival Orchestra, and plays regularly with the Malaysian Philharmonic Orchestra. Previously, Khai Ern was a core member of the Hyogo Performing Arts Center Orchestra in Japan, and she has served as the Assistant Concertmaster of the Civic Orchestra of Chicago and the Terre Haute Symphony Orchestra in USA. Khai Ern has performed in venues like Carnegie Hall in New York, the Concertgebouw in Amsterdam and the Royal Albert Hall in London, and has performed under the direction of many eminent conductors, including Alan Gilbert, Sir Neville Marriner, Vladimir Ashkenazy and Lorin Maazel. As a founding member of Ensemble Virama, Khai Ern plays chamber music and presents workshops and outreach projects at schools and universities in Malaysia. Khai Ern has also performed with the Lucerne Festival Academy, the Scottish Ensemble and the Hong Kong New Music Ensemble, and has premiered the music of Nigel Osborne, Gareth Farr and John Harbison with these and other groups. 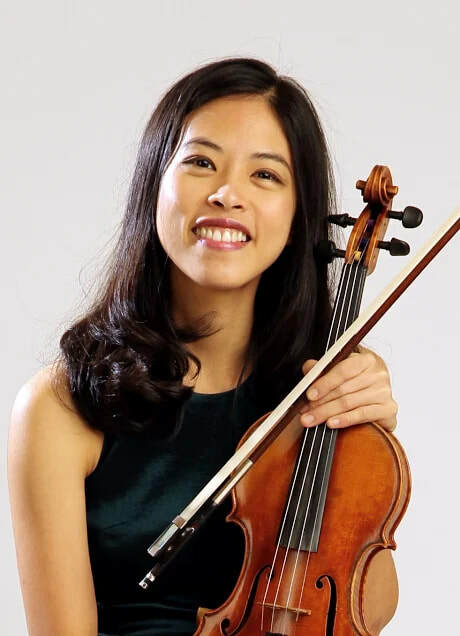 Khai Ern was educated at Indiana University's Jacobs School of Music, where she studied violin with Federico Agostini and Mark Kaplan, and chamber music with Atar Arad and the Orion String Quartet.